By popular demand, the Schott-Pelican Chapter of SABR has expanded their meeting schedule to four times-a-year. Meetings will be held on the fourth Saturday of January, April, July and October, so mark your calendars and SAVE THE DATE! The January meeting is scheduled to coincide with SABR Day nationally. The April meeting is scheduled to roughly coincide with MLB Opening Day. The July meeting is scheduled to coincide with Arthur Schott’s birthday in July. The October meeting is scheduled to roughly coincide with the World Series. We will send out e-mail reminders in advance of the meetings. Please RVSP for each meeting so we have an accurate head-count. The room we will meet in may change because of the number of attendees. We also want to alert presenters on how many copies to prepare. 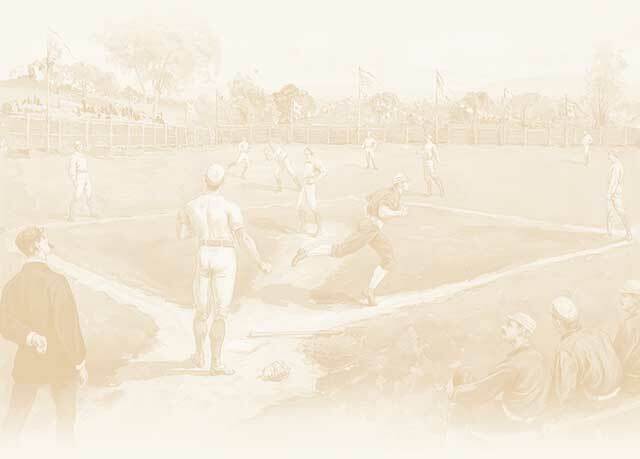 We welcome presentations of all sorts – articles, book reviews, statistical analysis, memorabilia collections, or whatever you are interested in sharing and discussion – as long as it is baseball related. We ask that you keep it to 10 to 15 minutes in length so that everyone will have an opportunity to present and there is time to discuss the presentation. Many of our members make presentations, but it is not required for attendees to make a presentation. If you plan to make a presentation, we request that you bring at least twenty (20) copies to distribute at the meeting. Guest speakers are welcome, especially former players and coaches. If you know someone who would like to speak to the group about their career, please let us know so that we can make arrangements in advance. For directions, please call or see the map below. If you need transportation assistance to the meetings, please let us know so we can arrange for someone to pick you up and drop you off at your home. Guests and prospective new SABR members are always welcome, but please let us know in advance so we can have an accurate head-count. The room we will meet in may change because of the number of attendees. If you have any questions, comments, or requests, please contact Richard Cuicchi at rcuicchi@aol.com or Derby Gisclair at derbygisclair@cox.net at any time.